MANY FORTUNE 500 CORPORATIONS, SMALL BUSINESSES, MUNICIPALITIES, NATIONS, AND EVEN UTILITIES ARE REALIZING THE BENEFITS OF IMPLEMENTING RENEWABLE ENERGY SOLUTIONS. SOLAR ENERGY IS VIRTUALLY INFINITE AND AN IMPORTANT SOLUTION FOR AN ECONOMICALLY AND ENVIRONMENTALLY SUSTAINABLE FUTURE. Solar offers immediate and long-term economic benefits. In most markets solar energy can reduce energy costs from the first day, thereby lowering the operating cost of a facility. It also provides a long-term hedge against rising energy costs and energy market volatility. 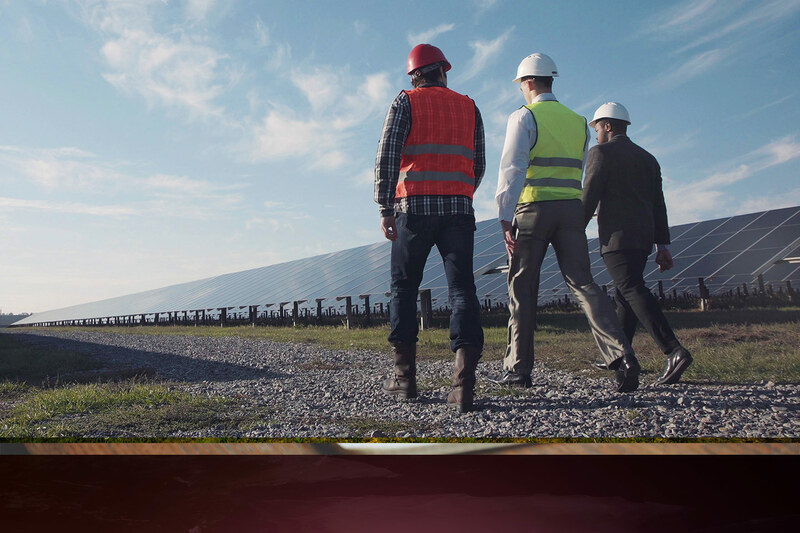 NovaSol Energy is a leading independent renewable energy company offering a comprehensive suite of services ranging from policy and project consultations, design/engineering, turn-key development services, operations & maintenance, energy efficiency, financing, and project investment opportunities. Contact us today to see how we can customize a solution to meet Your organization's goals! Due to our broad experience in the energy industry, we provide a wide array of consultation services ranging from energy policy, project negotiations and structure, project partnerships, and independent evaluations of our customer’s projects. A project's success starts from the initial design/engineering phase. Our design/engineering services help our customers get started right who wish to develop their own projects, leveraging our experience for optimal production and maximizing the value of their investment. Our turn-key solar energy solutions allow for integrating solar into your existing energy portfolio in a hassle-free, risk-free, and economical manner. We have the resources to develop your project on-time and, most importantly, on budget. Our focus is not limited to just developing the best solar energy systems. We go beyond developing renewable energy to ensure the producing energy asset is operating at its optimal capacity, providing the maximum value to our customer. With our SPPAs or SALAs, your organization can go solar and improve its environmental footprint AND its energy economics without any up-front expense! Our customers realize savings on their energy expenses from the first six months of production. The savings only increase over time as conventional utility rates increase. Energy efficiency investments are THE most economical option you can make to generate the most immediate and fastest return on your investment. In addition to providing optimal energy production energy services, we can also analyze your assets to reduce and limit energy waste, saving you money on energy expenses.